The New York Times bestselling author of I Quit Sugar transforms cultural perceptions of the mental health issue of our age—anxiety—viewing this widespread condition not as a burdensome affliction but as a powerful spiritual teacher that can deepen our lives. Wilson, a bestselling author, journalist, and entrepreneur, had spent years struggling with her own beast: chronic anxiety. And the words of this proverb would become the key to understanding her condition. 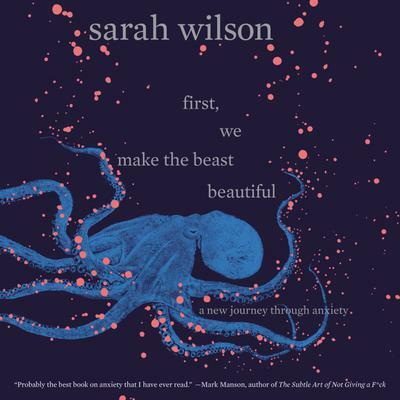 First, We Make the Beast Beautiful charts Wilson’s epic journey to make peace with her lifetime companion, and to learn to see it as a guide, rather than as an enemy. With intensive focus and investigatory skills, Wilson examines the triggers and treatments, the fashions and fads. She reads widely and interviews fellow sufferers, mental health experts, philosophers, and even the Dalai Lama, processing all she learns through the prism of her own experiences. Pulling at the thread of accepted definitions of anxiety, she unravels the notion that it is a difficult, dangerous disease that must be medicated into submission, and re-frames it as a divine journey—a state of yearning that will lead us closer to what really matters.